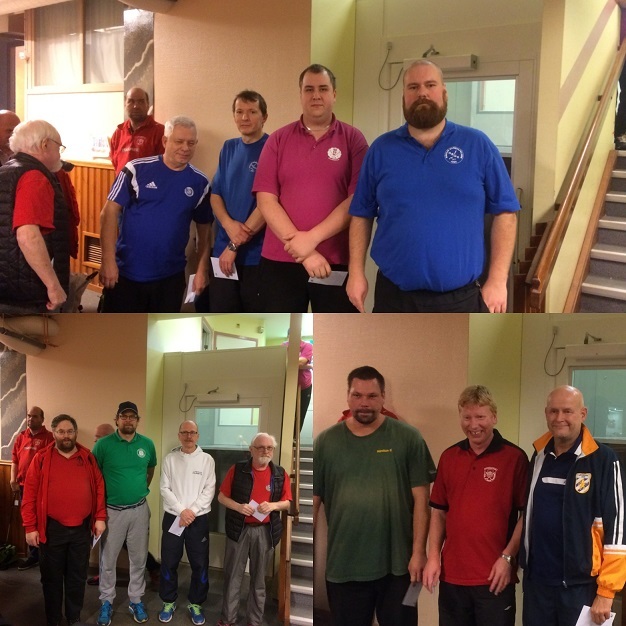 The third gathering in the indoor series took place in Bor�s on January 14-15. You can catch up on the second round in our article here. The event saw 61 minigolfers participating over the three classes. In a tight race, in class A, between Johan Ahlander from N�ssj� BGK and Marcus I Andersson from Kung�lvs BGK as both shot 81 over the three rounds. Johan finally won after playing some decisive extra lanes. Those two were only one stroke ahead of Lars Wahlstr�m from N�ssj� BGK and another stroke ahead of Tomas Sennerby from Gullbergsbro BGK. In class B Hasse Pihlqvist won on the good result of 87 strokes with 3 straight 29s, winning by 1 over Lennart �s, who stumbled a bit in the second round. H�kan Fransson from Str�mstads BGK won class C with a 101 and won by 4 strokes over Ebbe �str�m and Anders Pettersson. The fourth in the series in Bor�s takes place February 4-5. Thank you to Jens Bergstr�m for providing the information for this article.